A guest post by Kenny Pearce. It is by now well-known that Locke intentionally sets his Essay in the context of Baconian natural history, the project of the Royal Society. This can be seen in Locke’s mention of several prominent members of the Society in the Epistle to the Reader, and his description of his own role as that of an “Under-Labourer … removing some of the Rubbish, that lies in the way of Knowledge” (Essay, Nidditch p. 10). It can also be seen in Locke’s explicit description of his project as following the “Historical, plain Method” (§1.1.2), and in his assertion to Stillingfleet that “if [his ‘way of ideas’] be new, it is but a new history of an old thing [i.e., human understanding]” (Works, 4: 134–135). Further, it is clear that the Essay was received as a contribution to Baconian natural history in the decades following its publication. For instance, in a footnote to his 1732 translation of William King’s Essay on the Origin of Evil, Edmund Law refers to the Essay concerning Human Understanding as “Mr. Locke’s excellent History of the human mind” (vol. 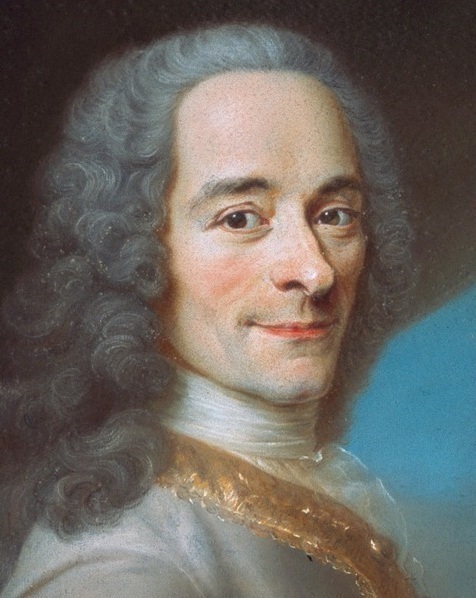 2, p. 308), and in his 1734 Philosophical Letters, Voltaire writes, “After so many thinkers had written the romance of the soul, there came a wise man [Locke] who modestly described its history” (Steiner p. 42). The Society has reduc’d its principal observations, into one common-stock; and laid them up in publique Registers, to be nakedly transmitted to the next Generation of Men; and so from them, to their Successors. And as their purpose was, to heap up a mixt Mass of Experiments, without digesting them into any perfect model: so to this end they confin’d themselves to no order of subjects; and whatever they have recorded they have done it, not as compleat Schemes of opinions, but as bare unfinish’d Histories … For it is certain, that a too sudden striving to reduce the Sciences, in their first beginnings, into Method, and Shape, and Beauty; has very much retarded their increase … By their fair, and equal, and submissive way of Registring nothing, but Histories, and Relations; they have left room for others, that shall succeed, to change, to augment, to approve, to contradict them, at their discretion (Sprat, The History of the Royal-Society , pp. 115–116). According to Sprat, the key to the method of natural history is to “heap up a mixt Mass of Experiments” and observations (or ‘instances’ as Bacon liked to call them) without working them into a system. This is important because it will allow future generations of natural philosophers “to change, to augment, to approve, to contradict” the conclusions drawn by those who made the observations. This, therefore, being my Purpose to enquire into the Original, Certainty, and Extent of humane knowledge; together, with the Grounds and Degrees of Belief, Opinion, and Assent; I shall not at present meddle with the Physical Consideration of the Mind; or trouble my self to examine, wherein its Essence consists, or by what Motions of our Spirits, or Alterations of our Bodies, we come to have any Sensation by our Organs, or any Ideas in our Understandings; and whether those Ideas do in their Formation, any, or all of them, depend on Matter, or no (Essay 1.1.2). my design being, as well as I could, to copy nature, and to give an account of the operations of the mind in thinking, I could look into nobody’s understanding but my own, to see how it wrought … All therefore that I can say of my book is, that it is a copy of my own mind, in its several ways of operation. And all that I can say for the publishing of it is, that I think the intellectual faculties are made, and operate alike in most men (Works, 4: 138–139). This line of interpretation has consequences for how we must understand Locke’s account of ideas. If Locke is following this kind of Baconian methodology then, although he does at various points seek to explain various phenomena, his ‘ideas’ cannot be understood as theoretical posits aiming to explain how we perceive external objects. Locke makes no attempt to explain “by what Motions of our Spirits, or Alterations of our Bodies, we come to have any Sensation by our Organs, or any Ideas in our Understandings” (Essay 1.1.2), and frequently admits that, although we can give mechanical explanations of the transmission of information from objects to the brain, the mind-brain interface remains utterly mysterious. Instead of attempting to solve this mystery, Locke aims simply to describe the ideas of which we are aware. If this is correct, then, although there is a sense in which the Essay is a systematic treatment of the human mind, there is another sense in which Locke is an intentionally, self-consciously unsystematic thinker and the Essay is an intentionally unsystematic work. The Essay, as a natural history of the human understanding, is systematic in that Locke’s observations and the generalizations he draws from them are laid out in a reasonably orderly fashion, intending to be of use to future natural historians. But it also exhibits a Baconian skepticism about ‘grand systems’. The human understanding, Locke has observed, is (like most natural phenomena) messy and complex and, in Locke’s view, it would be a serious methodological error to try to massage this messiness out of the data. A neat and clean, elegant and systematic account of the human understanding would be a ‘romance’ and not a modest history.